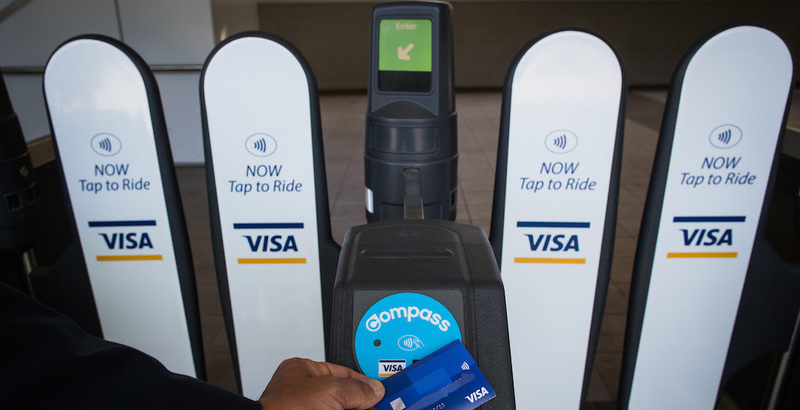 There have been over one million contactless credit card and mobile wallet taps on TransLink’s Compass fare gates and bus readers since the capability launched two months ago, according to the public transit authority. That works out to an average of about 17,000 fare payments per day made using these methods, which enables tourists and other infrequent transit users to pay transit without the hassle of cash and coins. In total, there were 160,000 unique users using credit cards and mobile wallet, specifically contactless VISA and Mastercard and a mobile device with an Apple Pay, Google Pay, or Samsung Pay wallet. TransLink says it was the first transit agency in Canada and one of the first in North America to launch the new payment options. The capability was pre-built into the Compass Card infrastructure and activated by the credit card companies at no cost to the public transit authority. However, single-trip fares remain lower for those who use a Compass Card due to a discount with the transit smart card, and a Compass Card is still required for monthly passes.